Terms & Conditions - Shapiro, Blasi, Wasserman & Hermann, P.A. 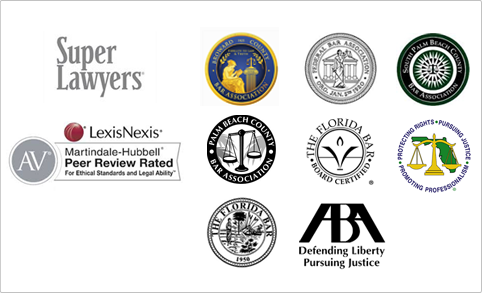 This website has been prepared and provided by Shapiro, Blasi, Wasserman & Hermann, P.A. for informational purposes only and does not constitute legal advice. The information is not provided in the context of an attorney-client relationship and no such relationship is created as a result of accessing this website. This website is not intended to, and should not, substitute for legal advice from an attorney licensed in your jurisdiction. Contacting Shapiro, Blasi, Wasserman & Hermann, P.A. or any individual Shapiro, Blasi, Wasserman & Hermann, P.A. attorney or employee via this website’s contact page, via e-mail or otherwise via the Internet does not create an attorney-client relationship without our prior written agreement. Please do not send us any information you regard as confidential unless and until we have agreed to a formal attorney-client relationship. Information conveyed prior to establishing an attorney-client relationship is not privileged or confidential. If you choose to contact Shapiro, Blasi, Wasserman & Hermann P.A. via this website’s contact page, via e-mail or otherwise via the Internet, please be aware that any information transmitted electronically may not be secure. This website may contain links to other web pages. The inclusion of such links does not constitute referrals or endorsements of the linked entities. The hiring of a lawyer is an important decision that should not be based solely upon advertisements. Before you decide, ask us to send you free, written information about our qualifications and experience. Reproduction or modification of any portion of this website for business or personal use without the express written permission of Shapiro, Blasi, Wasserman & Hermann, P.A. is strictly prohibited. The text, images, graphics, sound files, animation files, video files and their arrangement on this website are all subject to copyright and other intellectual property protection. These objects may not be copied for commercial use or distribution, nor may these objects be modified or reposted to other sites.